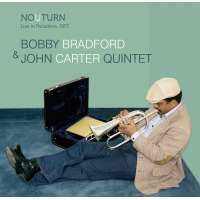 Track review of "Crooked Blues"
Cornetist Bobby Bradford (Ornette Coleman, Eric Dolphy, John Carter) has been a pivotal figure in the "new" jazz leanings on the U.S. West Coast and the global panorama, performing with the best and brightest. 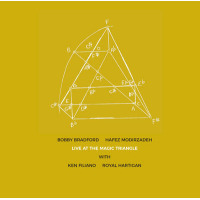 Since 2016, Bradford co-leads a quartet with reedman and musicologist Hafez Modirzadeh (Amir ElSaffar, Rudresh Mahanthappa), supplemented by the strong and impassioned rhythm section, featuring A-list session artists, drummer Vijay Anderson and bassist Roberto Miguel Miranda. 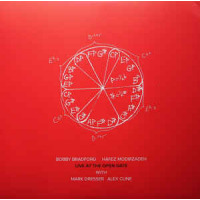 As expected, Bradford's masterful use of space allows the listener to ease into his concise and lyrical statements as the quartet sprouts into variable bop tempos. In addition, Midorzadeh's fluent and inspiring choruses are occasionally tinted with experimental outbreaks. Here, the soloists often expand, contract and rework tangible themes and harmonic content into improvisational forums, along with a little angst and slants towards the free zone. 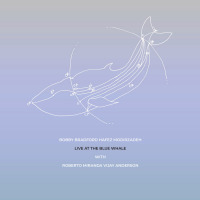 The final track "Crooked Blues" feature the soloists' singing notes, evolving to a sprightly mid-tempo groove via lighthearted bump and grind passages, abetted by the saxophonist's popping lines amid call and response movements incited by Anderson's upbeat fills, as the the hornists push and taunt each other above Miranda's punctuated walking bass parts, followed by Bradford's undulating solo spot. During the bridge, they launch into a fast-paced bop vamp with a relaxed gait, and throttle back to the core theme, but this time, they perform the primary hook in its entirety, which is a shrewd move on their part. Previously, the hornists mainly hint at a core melody-line, yet not executed in unison. This is a quartet that operates on a higher plane, contrasted with cunning interactions and inviting song-forms, while generating a fun-factor that should light a spark for most jazz aficionados who listen to jazz with an open mind. Indeed, it sounds like they gave the audience in attendance more than their money's worth.